Custom Mediterranean-style home in the gated Floresta at Champions Club! Luxury Costanza-built home with no rear neighbors, over 3,600 square feet of living space, 3-car garage, main-floor master and upgrades to suit royalty. Gourmet chef's kitchen features granite counter tops, a generous breakfast bar, custom maple cabinetry, double convection ovens, Thermador gas range, and space for a double refrigerator, double-drawer dishwasher and ice-maker. The master retreat features his and hers walk-in closets and an en suite that doubles as your personal spa. Other notable features include beautiful travertine flooring, crown molding, volume and tray ceilings, pavered driveway, and a backyard lanai. Becoming a part of this community gives you an enviable advantage with options of accessing a state-of-the-art clubhouse, extravagant amenities and the majestic Fox Hollow Golf Club. 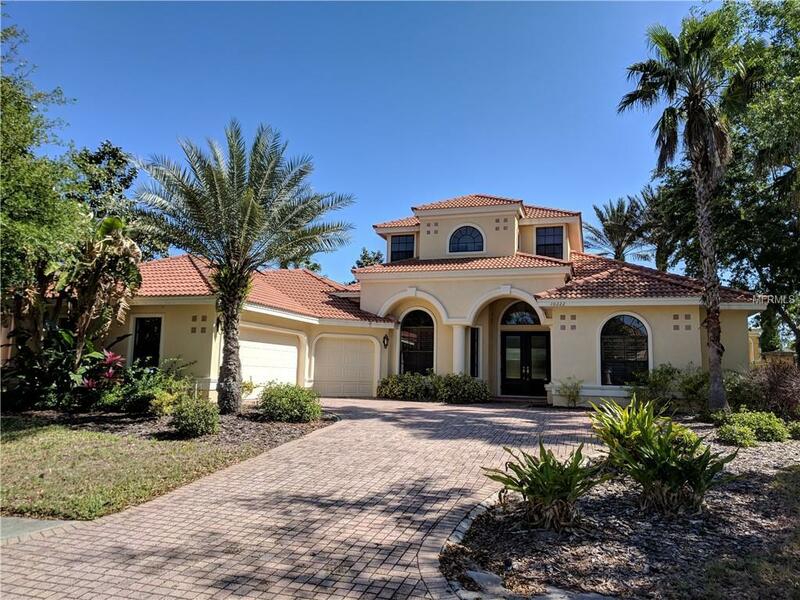 Champions Club is offering a desirable lifestyle and perfectly situated to take advantage of highly rated schools, entertainment, shopping, dining, healthcare and all the offerings made available by the Tampa Bay area.